When I had woken up, I was back in isolation again, I sat up as the blood rushed to my head, making me wobble a bit. I placed my hand on my for head, but took it off immediately, my body temperature was through the roof, yet I was shaking like a leaf had just been whisked away by a large gust of wind. After gaining my composure, I stood up, I scanned around the area and studied my surroundings, I had found a mirror. I approached it and hesitated, did I dare myself to look at what the disease had done to me? Yes. I stared back at the girl I had become, only she looked different to what I remember, her eyes that were hazel brown and had a sparkle to them had become sunken and worn out, her skin that was once rosy and plain, was littered with tones of grey, blue and yellow. 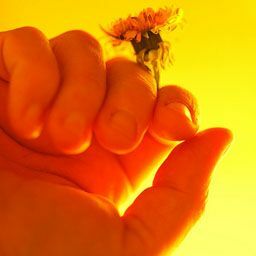 I reached up and touched my face, and saw that even my hand was beginning to look sunken and tucked in. I pulled it away in shock, I stood back and pushed the mirror of its stand, I couldn&apos;t bare to look at myself... I was hideous! "Jess!" Rick came sprinting down the hall, and up to the glass observation window I was standing behind. He paused and went for the door that lead into isolation "No!" I yelled, causing him to stop and stare at me. "Jess... I&apos;m coming in" he declared, going for the door again. "I said no! and I mean it" I ordered, never breaking my eye contact with him. "If you got infected... I wouldn&apos;t... be able to forgive myself... you gotta look out for Judith and Carl... and keep this place running" I explained between gasps of air caused by my excessive coughing. "I don&apos;t care if I get infected... we have medicine now... I wanna be there for you... to hold you" he pleaded, his eyes were sad and lonely. "There&apos;s no way to tell if it&apos;ll even work" I stated before spluttering my guts up again. I hated this, I might die and I can&apos;t even touch Rick, that&apos;s all I wanted, his touch, for some reason I had always found comfort with his touch. Rick must have been thinking the same thing as he pressed his hand up against the glass. I wiped away my ever flowing tears and looked into his deep blue eyes I had always loved, then glanced down at his hand. I pressed my hand up against his, I felt some form of comfort but it wasn&apos;t enough, I wanted him, but I couldn&apos;t. I placed my forehead against the glass, it was met by Ricks forehead, I savoured this moment as it might be the last that I spend with Rick. 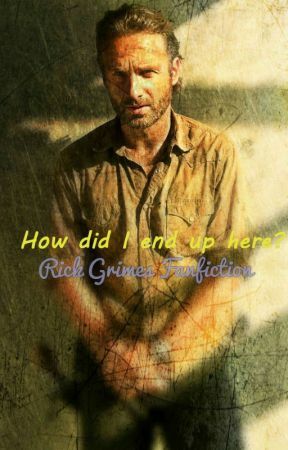 If Rick became infected, and if it was my fault, I&apos;d rather be dead. If he died, I don&apos;t think I&apos;d have any other reason to live anymore. "I love you" he said quietly, though I could still hear him, this brought on more tears. "I love you too" I whimpered, before coughing yet again though this time, the cough was different. I found it increasingly difficult to breathe, I grabbed at my throat before falling to the ground, my visions began to darken and go fuzzy, I saw two figures run towards me and that&apos;s all I remember. Turns out I had passed out because I couldn&apos;t breathe, Doc S and Hershel had rushed over and stuck an intubation tube down my throat, the get me to breath again, all the while Rick was banging on the glass window, screaming my name until he couldn&apos;t take it anymore, he ran inside scooping me in his arms and never let me go until I had woken up. It had been a few days since I had passed out, I had woken up, in bed, attached to a drip and my whole body felt like it was made of glass, with one sudden movement, my fragile bones would shatter into a million tiny pieces under the pressure. I kept having cold shivers and hot flushes which caused my to sweat profusely. My skin was still grey like the concrete of prison walls, my eyes still sunken and dark, like I hadn&apos;t slept for years and my hair was greasy as ever. My bed was the only warm place I could really get comfy, I would just lay there all day, shivering. Rick would come and sit with me, Hershel had given him a mask to wear, though I still didn&apos;t want him there as he could still get infected. I kept drifting in and put of unconsciousness, this fever was really draining me, I couldn&apos;t take it anymore. "Come on, Jess... Don&apos;t give up on me, now. You know how to fight, just... hold on" Rick said, wiping my forehead with a cold flannel which felt amazing. "I&apos;m glad you&apos;re here with me" I replied, grabbing his hand as I said it, struggling to saying g as I tried to swallow, my throat was dryer than sandpaper. "You&apos;re dehydrated... here, Drink this" Rick passed me a bottle with a straw in it, he helped me lift my head as I sucked in the cool refreshing liquid, it certainly quenched my thirst. "Rick..." I broke the brief silence. "Yes?" He responded. "I don&apos;t think I&apos;m getting any better" I declared, Rick chuckled. "Being a hero takes a lot out of you, ya know..." he stated before continuing. "You got the medicine, now everyone is getting better... You&apos;ll get better, trust me" he finished, while stroking my cheek. "I don&apos;t believe in magic or luck... I can feel it... this fever is just gonna burn me out" I stated before coughing again. "No... it won&apos;t, I won&apos;t let that happen... Jess... I love you so much" he quickly changed the subject, I opened my eyes and smiled at him "Ditto" This caused Rick to let out a chuckle. I began to cough again, so much in fact I needed to sit up. Rick ran off to get more water for me I assume. I kept coughing, only this was different, I seemed to loose control of my body before collapsing on the floor, I saw Rick run back and kneel down to me, my body began jerking before my vision went black. "Doc!" Rick screamed, his voice seemed to echo, as though he was in the distance, his voice becoming quieter. This was it, I was never going to see Rick again. Jess started to cough again, I reached for her water but she had drank it all, I got up and quickly ran to get another bottle. When I got back, Jess was on the floor, he body jerking out of control. She was having a seizure, "No, no, no, no!... Doc!!! Get in here now!!!" I shouted at the top of my lungs, I grabbed Jess and turned her on her side. Doctor S came Rushing in with his medical kit in hand.